Hiking is like any other activity or hobby in that there is often not just one way of doing it. You can hike solo; you can hike with one other, or in a larger group. Each of these combinations has it own advantages and disadvantages. 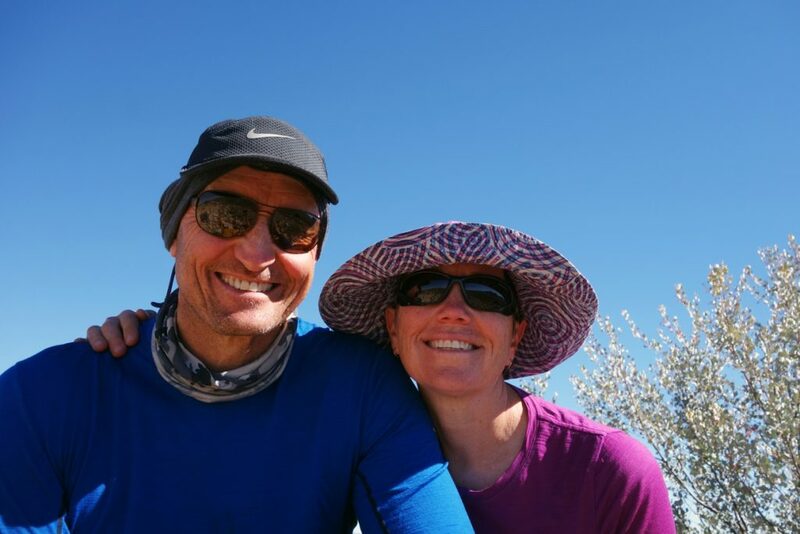 For many of us hiking with a friend or significant other is what we do and with it comes a number of benefits, as well as a number of potential pitfalls. This can often be one of the biggest causes of arguments when couples first start hiking together. It’s highly unlikely that as two individuals hiking together you are going to have the same walking pace. I am about 20 cm (8 inches) taller than my wife, which means my normal stride will carry me further. When Gill and I hike, I will outpace her on both flat ground and going up hills but my knees are not happy when coming downhill and this is where she outpaces me. A bit of discussion needs to be had about who is going to be walking in front and setting the pace. If you hike with you partner you still have options. I know of couples that due their their walking styles will start off together in the morning, separate during the day and meet up during the daytime for meals and then at the end the day. I enjoy solo hiking but personally I’m not a fan of this style of hiking. When I solo hike I know that I only have to consider myself and not worry about anyone else. If I’m hiking as a pair I worry if I haven’t seen my partner for a while and as a result I don’t enjoy what I am doing as much. For Gill and I we have an agreement that we keep visual contact with each other. It also means that we can share the same experiences. As a couple that has been together for many years we have a reasonably good understanding of each other’s quirks and abilities. We recognise when something is not going well for our partner. When we are having off days which happens on longer hikes and the other person is there to lift our spirits and to help us get though the day. We have never had a hike where we have both had ‘off’ days at the same time so this mutual support system has always worked well for us. Having said this occasionally there is a systems failure when there is some misinterpretation occurring. An example of this is our 2012 Bhutan walk where we were travelling as a group. On one particular day I had ‘digestive distress’ and Gill was trying to work out why I was walking much slower than I usually do but not picking up on the signals. It happens. One of the big benefits of hiking together is being able to share communal gear. A two-person tent is usually only marginally heavier than a single shelter. You only need one stove, as well as one GPS…the list of gear that can be shared is large. When you add up the list of individual items that you would usually carry and can now be shared there is often a large weight saving when one of us is having problems. The down side to sharing gear is that if you want something in particular in a hurry that your partner is carrying, then sometimes you have to wait until they can get it out of their pack. Gill recently had some interesting conversations with a work colleague along the lines of ‘do you run out of things to talk about?’ For us the answer is no. We either talk or we don’t. We don’t need to fill the silences when we don’t have anything to say. On two-week trips, which tend to be the longest we do as a couple, we have never run out of things to talk about. In addition being able to share the experience with your partner as it happens is one of the great pleasures of hiking. Being able to talk about something that is happening or that we’ve just seen if often the highlight of a trip for us. Its different than sharing the same experience separately. Not to sugar coat the experience but there are some down sides to hiking as a couple. Gill will attest to the fact I have the ability to make myself much larger than I actually am. Its like little kids who can take up the entire bed, except larger. Due to a series of accumulated injuries I tend to be a restless sleeper, changing position regularly throughout the night. As a result, I tend to take up more than my share of the tent. I am also an early riser and by early I mean my usual wake up time is 4:30am. Not so bad in the real world when you can disappear into another part of the house. But in a tiny tent when one person is awake the other one also tends to be awake as well whether they want to be or not. One thing that couples learn as they grow together is when to stop. Gill comes from a large family and as kids they had a rule ‘when, not if, someone cries, you stop’! As adults we need to learn the grown up version of this rule. We need to recognise that although as couples we have a lot of similarities there are times when we just need some space to handle whatever issues we are dealing with in our own way.